Best CV is the 2/6 Used wmk. Cape of Good Hope 1855-63 stamp SG#5b fiscal cancellation! Mounted mint. Reign : King Edward VII. Year : 1904 - 1909. Condition : Mounted Mint. ORANGE RIVER COLONY. Album Page. REST OF WORLD (UPTO £40) £3.00. UK RECORDED (UPTO £100 TOTAL) £2.00. UK ORDINARY (UPTO £40 TOTAL) £1.00. Reign : King Edward VII. Year : 1902 - 1909. Condition : Good Used to Used. Natal 1902 Telegraph Mint Mounted One Shilling on £1.10 SG ? 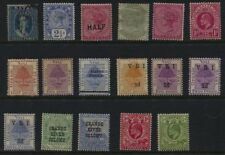 Natal 1881 Telegraph stamps, 1d,3d,6d&1/-, fresh mm (heavily), SGT1-4. Generally good used. Year : 1903 - 1909. Condition : Good Used. JUMP TO ITEM PHOTOS. Catalogue No : 140 to 151. Year : 1878 - 1882. Reign : Queen Victoria. JUMP TO ITEM PHOTOS. Condition : Good Used to Used. A rarely seen value in fine condition. I have acquired a comprehensive GEOVI fine mint accumulation of most countries. Most are very lightly mounted mint and very fresh. See scan 2 for the back of the stamp. £55 as hinged mint (SG 2019). Mint Hinged. Very Nice! No Hidden Faults. 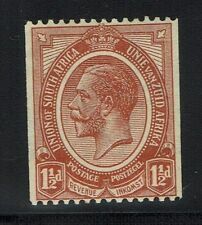 Victorian, penny red stamps of Natal. 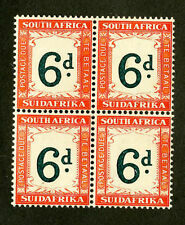 Withtoning on reverse on ½d, 1d (top row) and on 1sh (bottom row) and small creases on most values. Pencil notation on reverse on 1sh values. Mounted to heavily mounted mint and unused. Reign : King Edward VII. Manchukuo, Used. Small lot, Classical. Transvaal. 1870. 6d thin paper. Used. Should be proven not to be. If any item. not as described. Transvaal EVII sg 268 2/6d NHM cat £60 (mounted on selvedge only). SOUTH AFRICA 1911 (11 DECEMBER) COVER FROM RONDEBOSCH TO HAMBURG, GERMANY FRANKED 2½D BLUE (STANLEY GIBBONS NUMBER 2), ADHESIVE TIED BY GOOD PART DOUBLE RING CDS. Catalogue No : D1 to D7. Year : 1907. JUMP TO ITEM PHOTOS. With faults includingshort top corner on ½d, pulled top and base perf and creasing on 3d and toning on most values, fairly heavy on 6d and on 1sh.